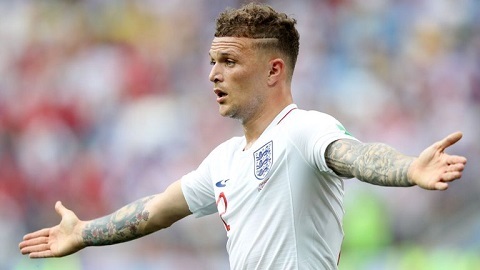 Twenty-eight years old, professional footballer Kieran John Trippier famously known as Kieran Trippier, currently plays for Premier League club Tottenham Hotspur and England national team as a right back. He was named in the Championship PFA Team of the Year for two consecutive seasons in 2012–13 and 2013–14 and is picked in 23 men's English squad for Russia Worldcup 2018. Kieran Trippier was born on 19th September 1990, in Bury, England to Eleanor and Chris Trippers. His birth name is Kieran John Tripper and his birth sign is Virgo. 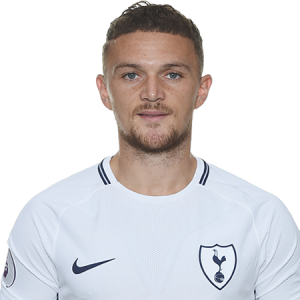 Talking about his ethnicity and nationality, Trippier is Caucasian English footballer. Trippier grew up along with three brothers Kelvin, Curtis, and Chris. He spends his childhood in Summerseat in Ramsbottom, Greater Manchester and enrolled at Woodhey High School. Tripper grew up in a family supporting Manchester United. At the age of 8, he was scouted by United but he chose to join Manchester City’s academy as he knew few of the friends there and City also was a local club for him. At the tender age of 5, Trippier joined Manchester City’s academy where he progressed through the ranks at the club, signing his first ever professional contract in 2007. In February 2010, Trippier moved to Barnsley on a 1-month loan. He made his team debut against Middlesbrough in a 2-1 loss. After the expiration of his one-month loan spell, he re-joined the club in August 2010, on a 6-month loan contract. He made his second team debut in the 1-0 home defeat against Rochdale in the League Cup. Again in January 2011, he signed a contract to play 2010-11 seasons for the club. Throughout the season, he made total 39 league appearances and scored 2 goals. In July 2011, Trippier was loaned to Burnley for a season-long as a replacement for the departing Tyrone Mears. The following month, he made his team debut in a 2-2 home draw with Watford. He scored the first goal for the club in September 2011, in a 2-1 win against Milton Keynes Dons in the League Cup. On 3rd January 2012, Trippier was signed on a 3 and ½-years contract for an undisclosed fee. After he was permanently signed, he played 154 league matches and scored 4 goals for the club. Additionally, for two following seasons in 2012-13 and 2013-14, Trippier was named in the Championship “PFA Team of the Year”. On 19th June 2015, Trippier signed Tottenham Hotspur for a fee of $4.67 million. He made his start for the club against Watford in a 1-0 win, scoring his first goal for the club. Since then, he had 55 appearances for the club. He started 2018-19 season in the game against Fulham and scored his first goal of the season from a free kick. Kieran Trippier has represented England both junior and senior levels. In November 2007, he was first called up for England U-18 national team for an international friendly against Ghana where he debuted in a 2-0 win at the Priestfield Stadium. In November 2008, Trippier progressed to U-19 national team. He was among the team members who qualified for the “2009 UEFA Europen U-19 Championship” finals in Ukraine. Likewise, in October 2010, he joined the U-21 squad for the “2011 UEFA European U-21 Championship”. On 10th June 2017, he was first called up to the national team of England for the “2018 World Cup qualifier” against Scotland and the friendly match against France after 3 days. So far, he has won three Caps. He is also a regular player of the team in the World Cup matches and scored a beautiful goal against Croatia in the semifinals. The star footballer, Kieran Trippier, 28, is a married man. He tied the wedding knot with his longtime girlfriend Charlotte Trippier in Cyprus in June of 2016. After 6 months, the pair became proud parent following the birth of their first child Jacob. The couple is living a blissful life without any rumors about conflict, extra-marital affairs, and divorce in their married life. The primary source of Trippier’s income is football. He has made himself very wealthy through his professional career as a professional footballer. The star footballer has played for various prominent football club including Manchester City, Barnsley, and Burnley. Currently, Trippier is signed to Tottenham Hotspur, where he earns $286,658 weekly and $2.3 million as his annual salary. As of 2017, he has an estimated net worth of around $7 million. Trippier’s current market value is $14.40 million. So far, his total transfer proceeds are recorded at $5.88 million. Apart from football, he has also added valuable worth to his bank account through endorsement with popular brands including Nike.